“Sustainable transportation advocates from around DC will gather on Sun., Mar. 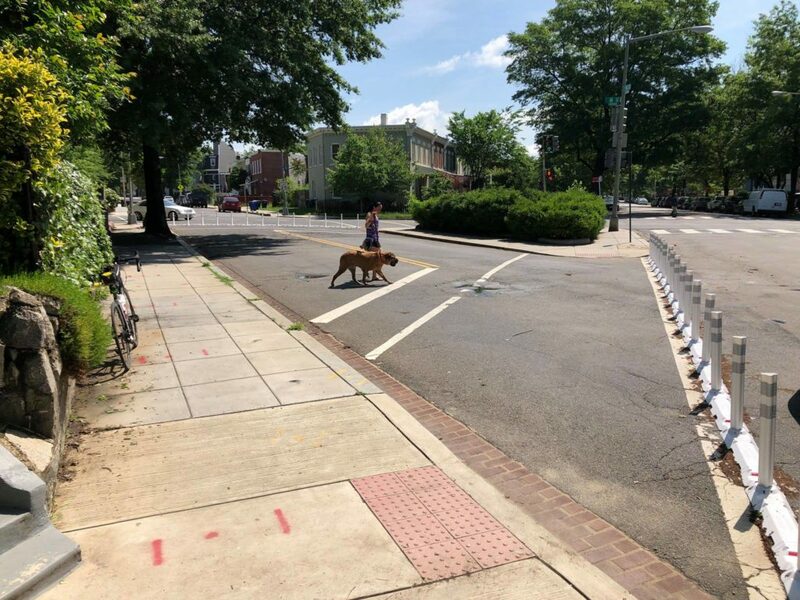 31 at 12 p.m. to call attention to the need for safety measures, including a road diet, on K Street, an essential east-west arterial that crosses North Capitol Street. K Street is an essential through-route for bike commuters, including parents and school children, as it connects connects downtown and Mount Vernon Square to the bike lanes on 4th and 6th Streets NE and the Metropolitan Branch Trail. Organizers are planning a picnic, march and bike ride from the green space at 800 K St NE to 440 K St NW. The ride is being organized by Safe Streets for Hill East and Near NE, Keya Chatterjee, and ANC 6C06 Commissioner Robb Dooling. They are encouraging participants to wear green and use the hashtag #GreenKSt.